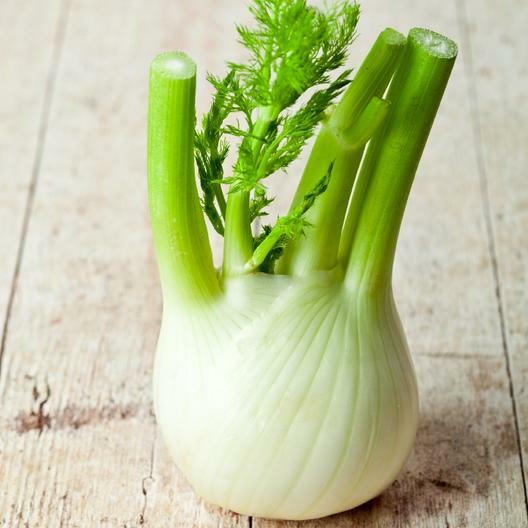 Florence Fennel, or finoccio, has a mild anise-like flavor, but is sweeter and more aromatic. The inflated leaf base forms a type of "bulb" and can be eaten as a vegetable - sautéed, stewed, braised, grilled or eaten raw. Fennel seeds are the primary flavor component in Italian sausage and its tender leaves are used for garnishes, added to salads, and to flavor sauces in soups and fish dishes.